Come spend the week or your choice of days exploring the mysteries of the Yost Park woods. 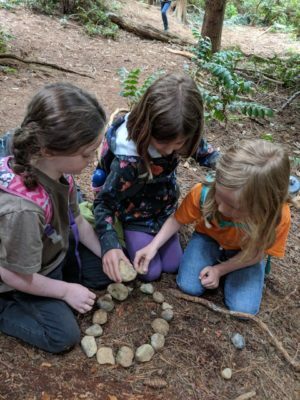 We will be building fairy houses and observation forts, learning about the stone people, connecting with Grandfather Maple and looking for Trolls under the bridge. Monday thru Friday from 9:00-3:00 for ages 7-13. Tuition is $235 for the week or $65 per day. Due to snow day schedules, enrollment can be done either by the week or by the day.